If you're itching to do a style refresh on a room, don't make the mistake of seeing a rug as an afterthought. Waiting to unfurl this textile until you've already purchased larger furnishings will usually result in mismatched or competing elements that don't feel anchored to a space. Instead, a rug should be treated as a solid foundation — and truthfully, it's best to stick to a neutral palette. But before you think that neutrals are boring, think again! These 10 picks will give your design flexibility, where understated details are primed to work with versatile options. From simple and muted creations that still have intriguing specifics, to sparkly and glamorous looks in universally flattering shades, these rugs will make lasting backdrops to any corner of your home. Just because something is neutral doesn't mean it has to be a total snooze-fest. 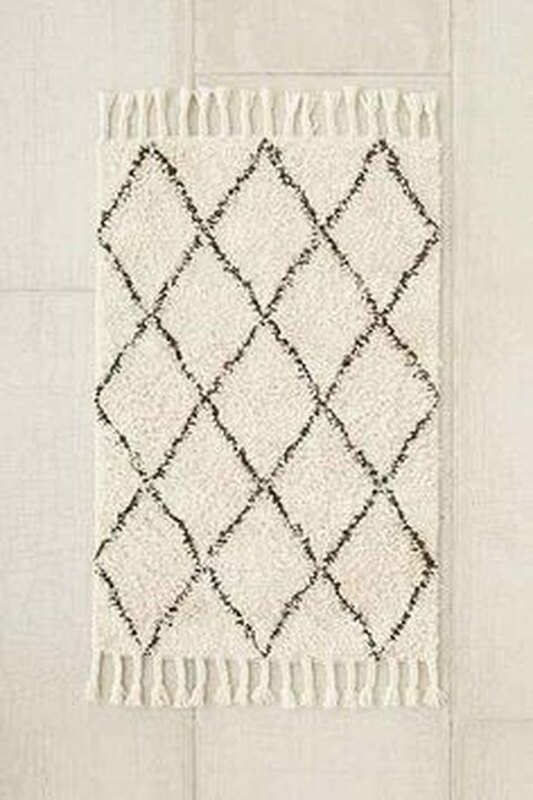 This scalloped hide rug from Serena and Lily (starting at $498) is proof. Its mixed tones and subdued palette would complement a darker sofa in charcoal grey or camel brown. 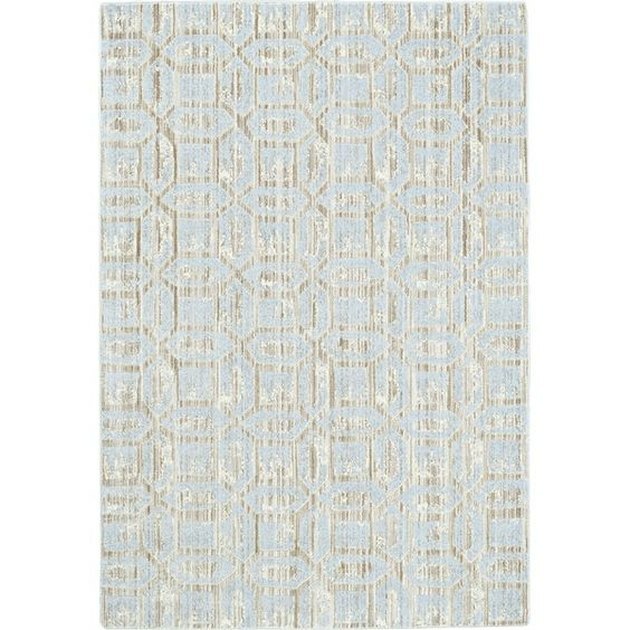 Adorned with tiny hand-sewn glittering discs, this Moroccan wedding blanket rug from World Market (starts at $89) is all about glamour. Opt for a smaller size and use it as an accent piece in a room that doesn't get too much foot traffic, like the guest bedroom or your office. 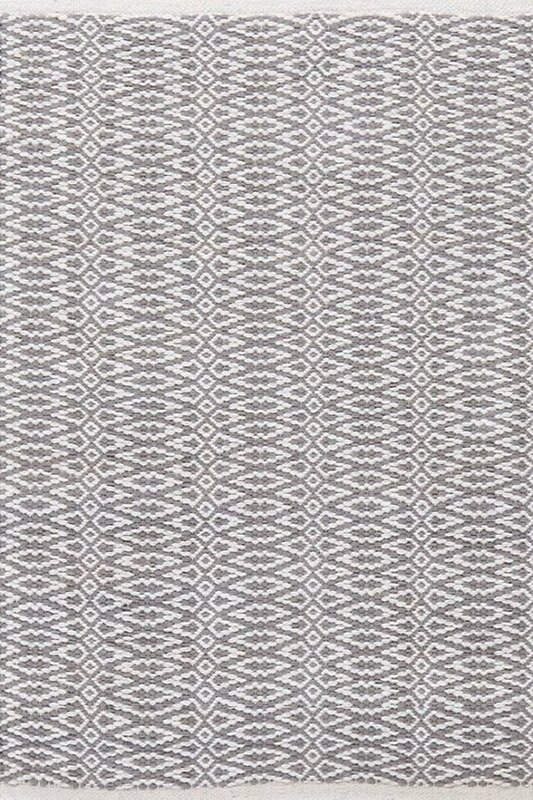 Make your living room feel complete with this woven rug from Dash and Albert (starts at $42). Pair it with a set of lucite end tables to let the pattern show through, and you'll brighten up the room in an instant. 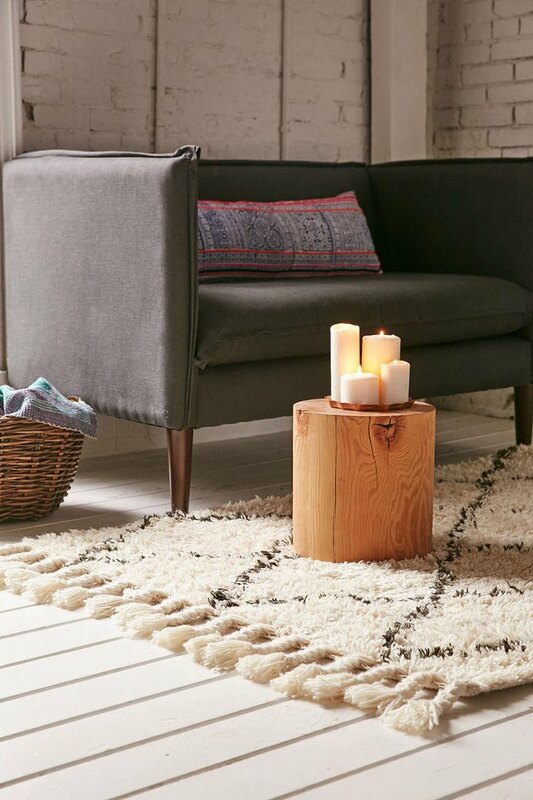 This tassle shag rug from Urban Outfitters (starts at $199) is guaranteed to work in almost any space. Add a side chair in a bright color, like a rich royal blue, to up the room's visual contrast. 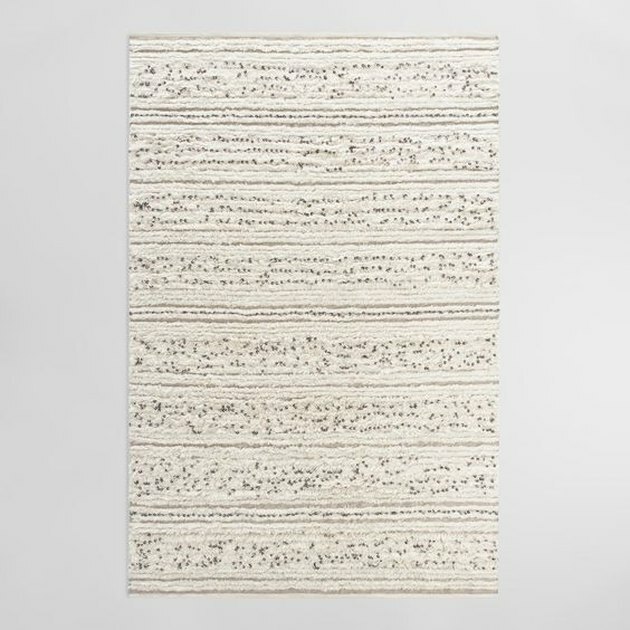 This textured rug from Anthropologie (starts at $1,198) is more like a work of art than a furnishing — it's hand-cut and knotted for a one-of-a-kind finish. 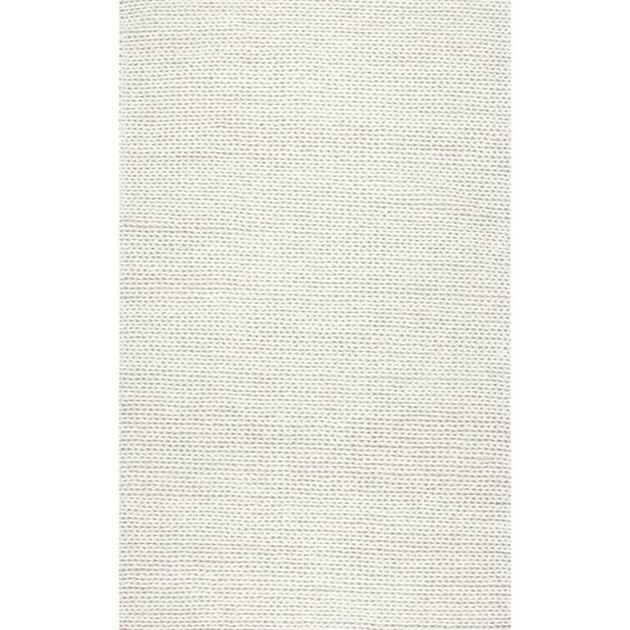 While its cream shade could force it into the background, this is the type of rug that deserves to be a room's main feature. 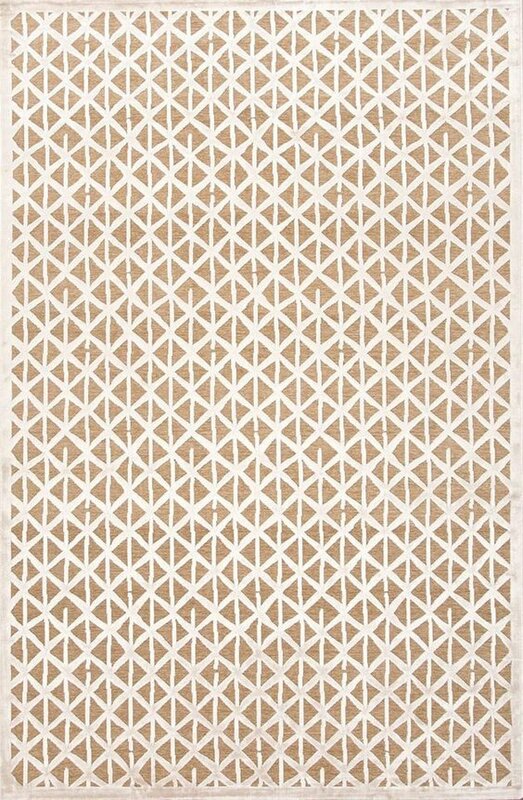 This muted Moroccan trellis rug from Rugs USA (starts at $18) will go with almost any comforter, throw pillow, or art print you can find, so it's the perfect base for your bedroom. 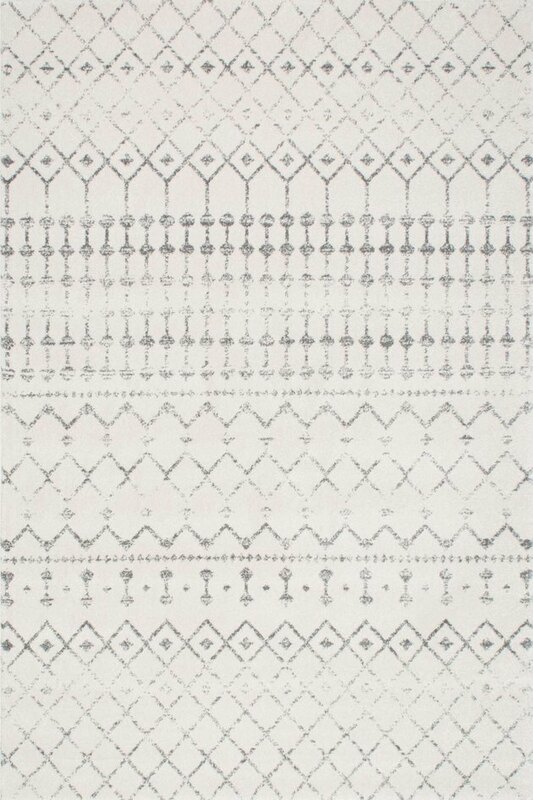 This rug from Joss and Main (starts at $44.99) is a prime example of using color as a neutral. The cool icy blue and distressed floating background will give your dining room a subtle boost of color without making you change everything else to match. 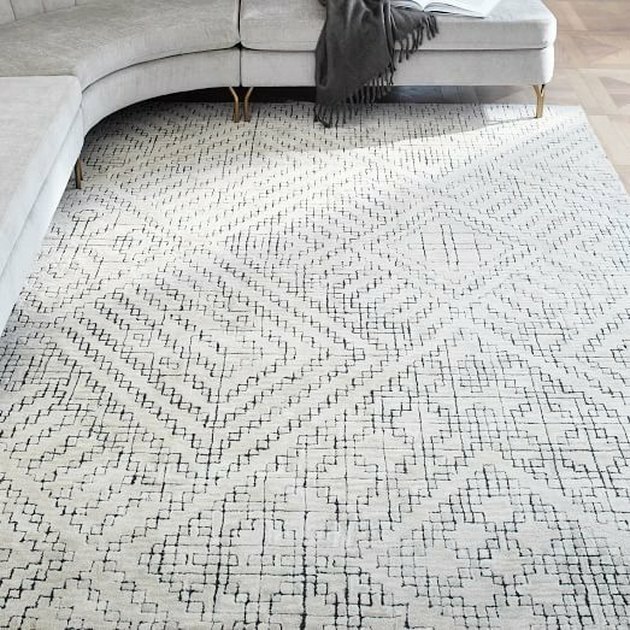 Neutral enough to go with anything, but stylish enough to garner compliments on its own, this tiled rug from West Elm (starts at $399) is the best of both worlds. Pair it with a round coffee table to offset the rug's straight lines and you're good to go. 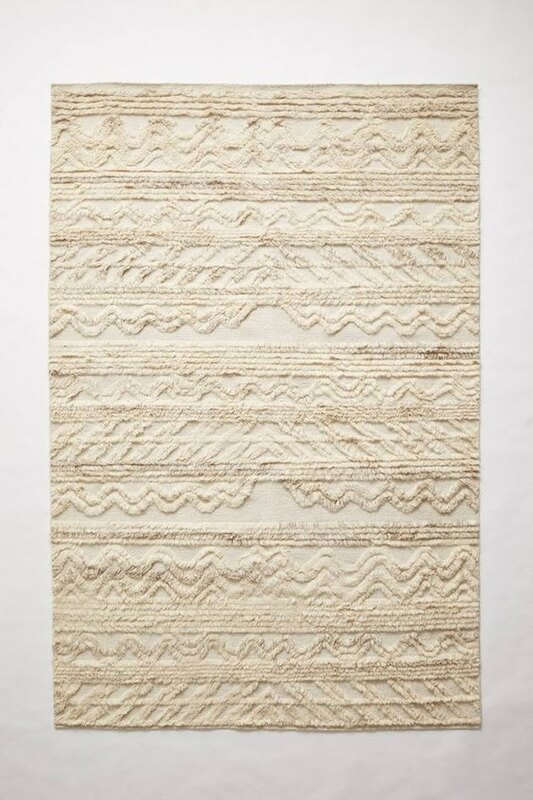 Add texture to your living room with this plush braided wool rug from Overstock ($424.14). If you're worried about getting it dirty, layer a smaller rug on top — at an angle! — for a trendy and protective finish. 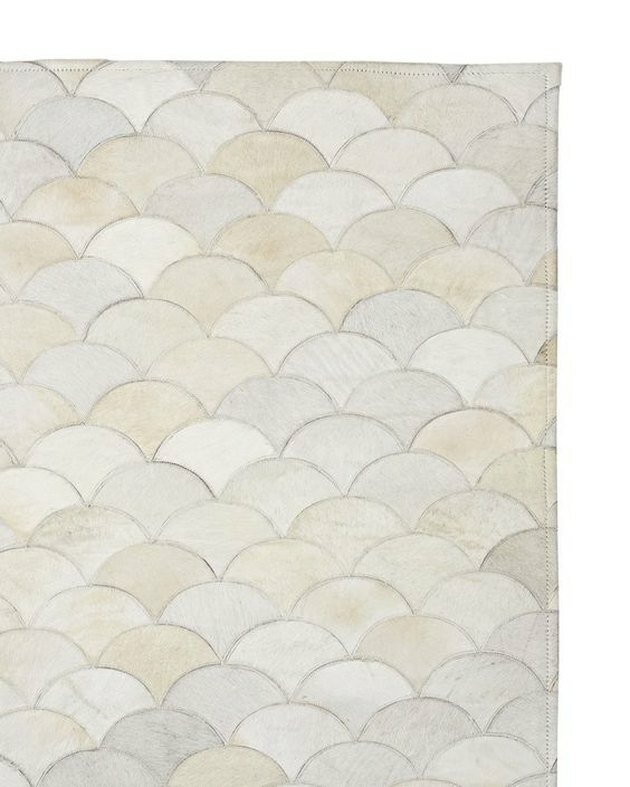 The neutral tan and white design on this toro rug from Lulu & Georgia (starts at $43) is the ideal base for more daring decor — it's confident without being ostentatious. Pair it with a colorful furnishing or an intriguing piece of art for a look that's just slightly over the top. Is It Us, or Is This Sling Chair Just Plain Perfection?